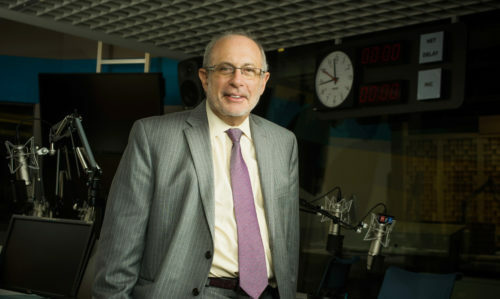 There have been a lot of great tributes leading up to Robert Siegel’s retirement today, including a Fresh Air interview and a series of pieces reflecting on his 40-year career at NPR. Like a lot of public radio listeners, I will miss Siegel’s voice and presence on air. They’re defining characteristics of NPR News. But there’s another reason I’ll always have a special regard for Siegel: He taught me the importance of having fun with ostensibly serious news stories. “Politicians once again choose Springsteen songs that don’t mean quite what they think they mean.” That’s the observation from a friend who heard “We Take Care of Our Own” immediately after President Obama’s reëlection victory speech. The song has been called a “bitter anthem,” and features lyrics such as “I been stumbling on good hearts turned to stone / The road of good intentions has gone dry as bone.” It’s skeptical about whether we’re living up to Lincoln’s American dream of charity for all. Perhaps the people responsible for choosing the music, like many listeners, are more interested in the upbeat chorus than the nuanced verses. Much as many would like to believe that the medium determines the message, a modern politician is never unmediated. 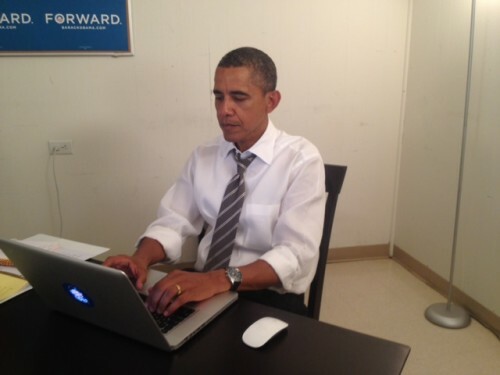 Not in a pie shop in Pennsylvania, not at a basketball game, not while having dinner, not on the phone with NASA, not on TV, not doing a Reddit AMA. Last week, we marked the anniversary of man’s first steps on the moon. But I’ve been mesmerized by another aspect of one of the greatest leaps in the history of mankind: sitting around. In 1969, We weren’t sure whether Neil Armstrong and Buzz Aldrin might pick up an alien disease on the surface of the moon. Under the Extra-Terrestrial Exposure Law, Armstrong, Aldrin and Michael Collins spent 21 days under quarantine as soon as they returned to Earth. 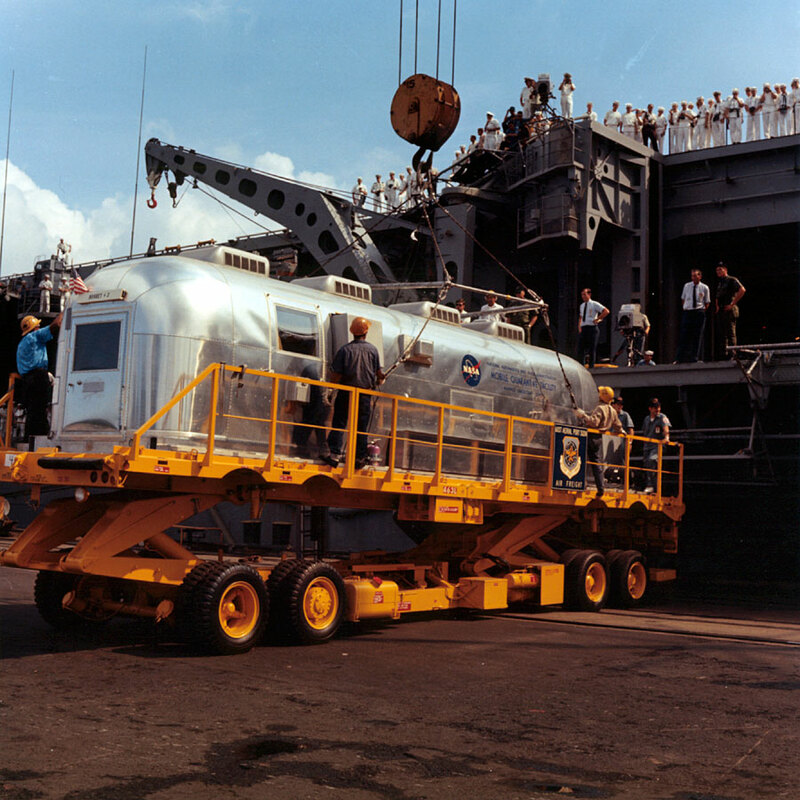 Initially, that meant hanging out in a “van” aboard the U.S.S. Hornet. As though eight days in a spaceship the size of a Dumpster wasn’t bad enough, now the men had to spend another few weeks in what was essentially an Airstream trailer, waiting to see whether Alien-style babies would punch their way out of their abdomens. Which brings me to this photo, collected in The Atlantic’s Apollo 11 gallery. I’ve returned to it again and again in the past week. According to the Apollo Archive, it was taken July 26, 1969, two days after the men returned to Earth. It’s hard to watch a grown man berate another adult. This week, after a committee hearing, a senator had a question. A staffer walks over to answer. She’s talking, then either turns away or starts moving away. A natural moment of conclusion? Or wanton insubordination? The senator knows what he saw, and there’s a sudden turn in his demeanor. That’s fine, walk away. Go ahead, walk away. I’m trying to ask you a question, but you walk away? Go ahead. You should show more respect. But that’s fine, walk away. This is someone who warms his seat by virtue of an appointment, who has not yet been elected. A back bencher. And a big man. The April 2, 2012 edition of The New Yorker has a remarkable piece on Lyndon Johnson’s experience of Nov. 22, 1963. 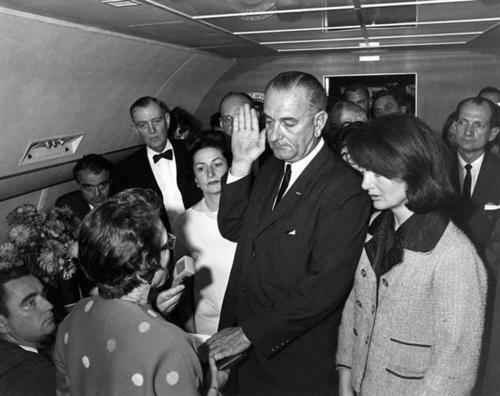 LBJ awoke an alienated vice president, dogged by scandal and likely in the twilight of his political career. You know how the story ends. The piece is an excerpt from the upcoming fourth book in Robert Caro’s five-volume biography of Johnson. You might have thought every angle on Nov. 22 had been dulled, but this account is fresh and immediate. The piece is also a master class in transparent journalism. Caro carefully differentiates what is known, what is unknown, and what falls between. He treats certain sources with skepticism (“Carpenter, like Valenti, was an idolater …”) and is clear when he is speculating (“What was going through Lyndon Johnson’s mind as he stood there history will never know”).